balsamic glaze and basil pesto. Our wild mushroom mix contains Portabella, Shitake, Cremini, and Oyster mushrooms. Our delicious salads are now available with a mix of Fresh Greens(no charge) or Spinach(add $2). Traditional iceberg lettuce is also an option. Starting with a bed of Arcadian Harvest Emerald lettuce and topped with red onions, Feta cheese, sliced heirloom tomatoes, black olives and served with Balsamic dressing on the side. spinach topped with dried cranberries, chicken, feta cheese, red onions, and served with a side of raspberry vinagrette. Or try our other great flavors of wings. Add a dessert to your meal with Bunny Tracks, Chocolate Brownie Bomb, or Mint Chocolate Chunk sundaes! Available for delivery too! 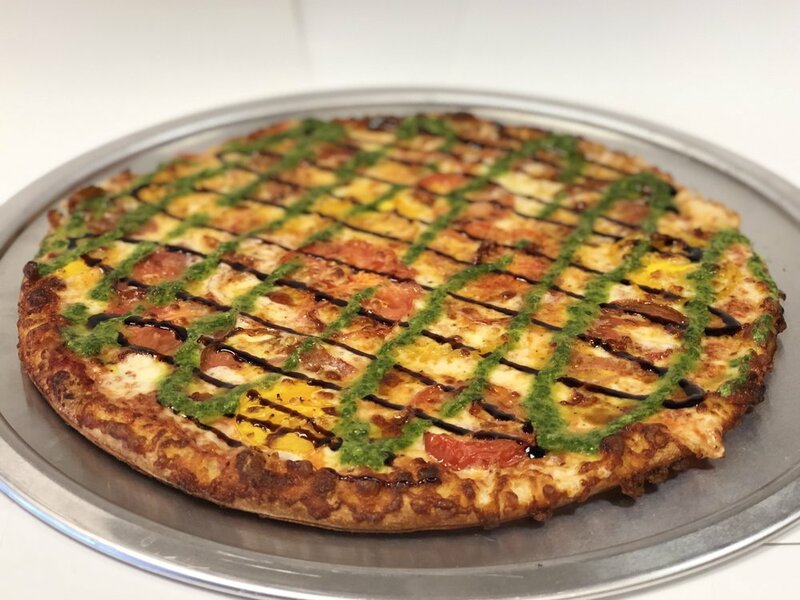 This 14" round pizza truly is a pizza pie, Starting out with hand-tossed dough layered with cheese and toppings, and covered with our House-made sauce. 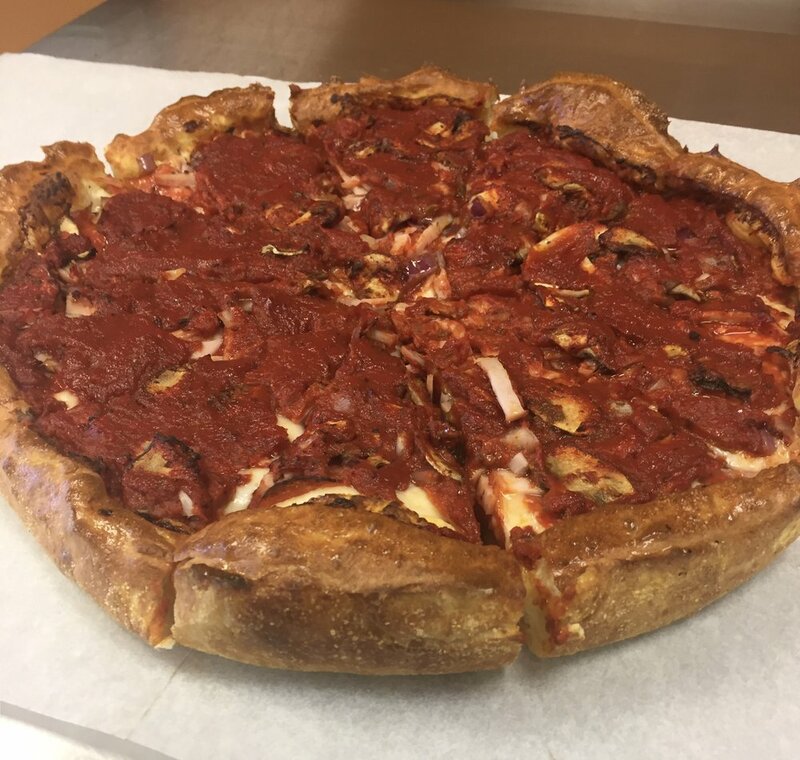 Try any of our specialty pizzas as a Harbor Style, or choose your own favorite toppings. *We accept American Express, Visa, Mastercard, and Discover. *Prices subject to change. *There will be a $20 fee on any returned check. *Effective June, July, and August 2018 *Prices do not include Tax.